This statistic shows the alternative finance market value in France in 2016, broken down by selected platforms. Peer-to-peer consumer lending was the largest segment in the market in France at that time, with a market value of almost 180 million euros. The source adds the following information: "the data-set covers 45 countries (including the UK) and 267 European platforms (exclusive of web-scraped platforms or UK-based platforms). Focus was made to ensure the inclusion of all major actors by model and by country." Everything On "Investments and alternative finance in France" in One Document: Edited and Divided into Handy Chapters. Including Detailed References. 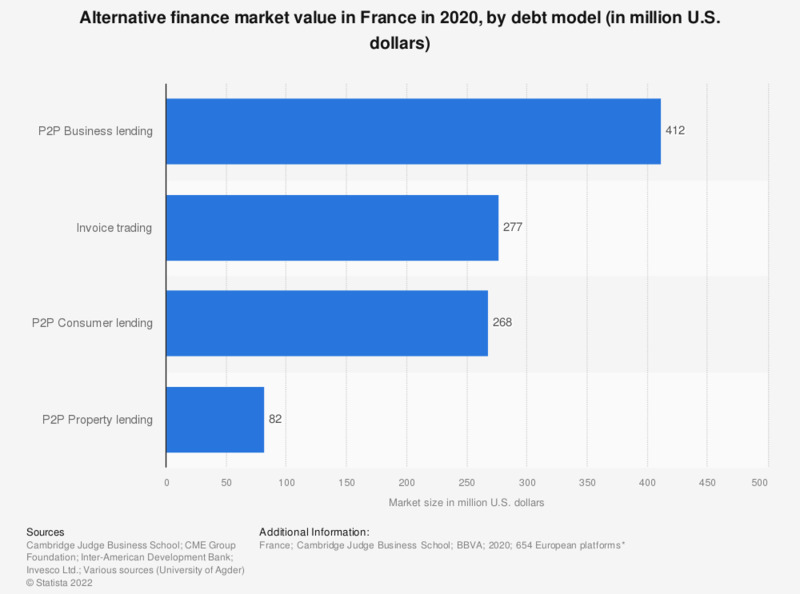 Statistics on "Investments and alternative finance in France"